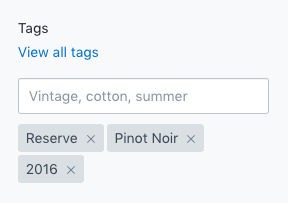 When you tag your products with characteristics of the products, you can build filter tag groups in the theme. That means you're asking to show products that have both 2015 and 2016 tags attached to a singular product. In our setup, each product has only one year tag so the results will be no products. Observe that Estate is in bold and Reserve is crossed out. That means the result product(s) has the Estate tag and no products with Reserve are available. 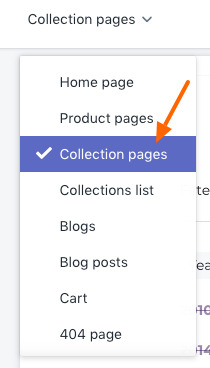 You can create filter groups for all your collections here. 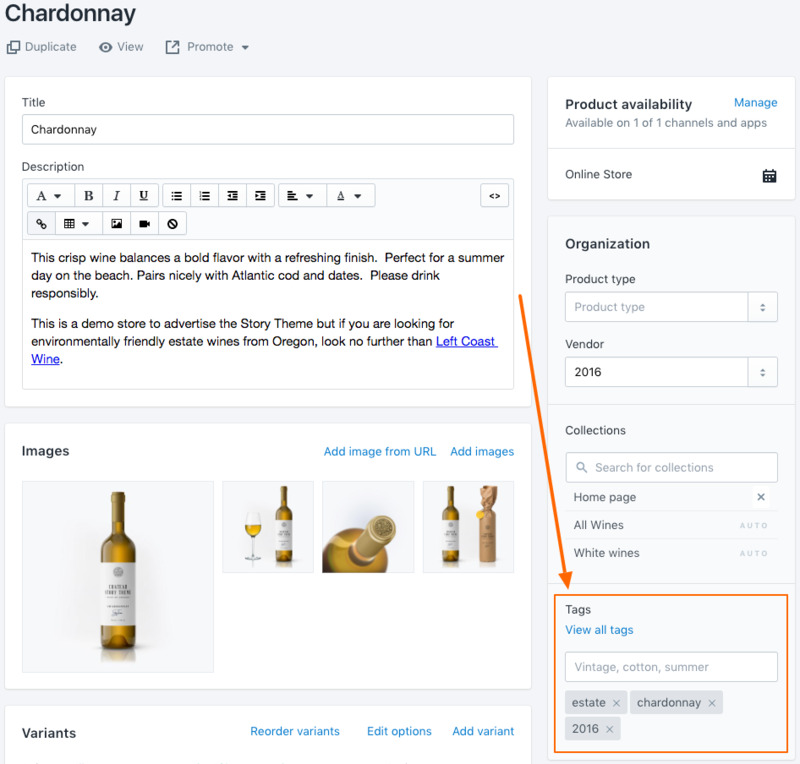 In the above example, we created groups for wine products. If the store has a collection for clothing, then the clothing collection will only display filter groups that pertain to that collection. 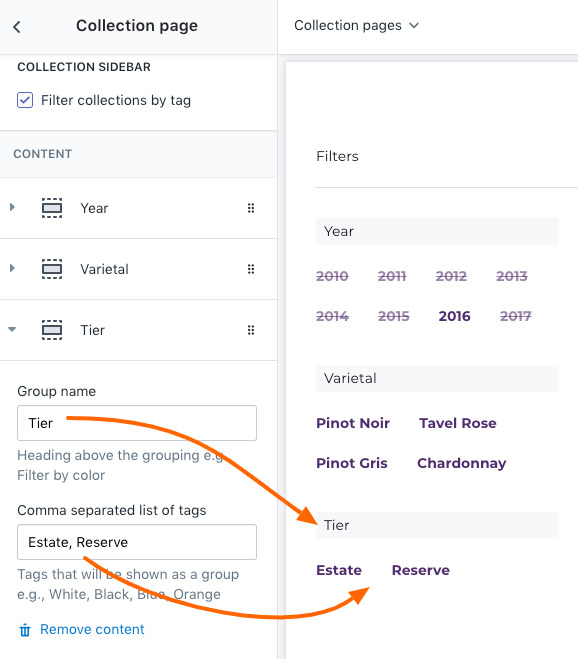 When you view a collection page, if the products in the collection have tags that match a filter group you've created, then only that filter group will be displayed. For example, the clothing collection won't show any of the wine filter groups. For that reason, create as many filter groups here as needed. Be sure to tag all your products to match the filter groups you're creating. Test your results to verify the group setup is correct and your products have the correct tags.